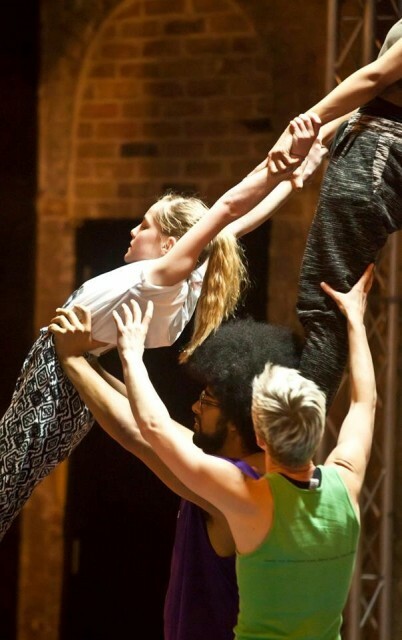 Mimbre is running a one week workshop this summer where you can learn acrobatics, acrobalance and other amazing circus skills taught by professional acrobats and circus artists. Guest teachers form other circus venues and schools within North London will teach a special skills session. We will also be going to the Roundhouse to visit their venue, learn about their youth programmes, participate in a workshop with other young people and check out a super cool installation! If you have an interest in being physical and creative this summer our workshop is for you! It’s the perfect opportunity to learn some awesome skills while gaining an insider look at high-quality educational and cultural circus programmes. We welcome all young people aged 11 – 15 from all levels and abilities. Ages 11 – 15! Older young people email us if you’re interested in coming along! To make sure you get a place on the workshop and the most up to date information please register for a place. You can call or email Jana on education@mimbre.co.uk and 0207 6131 068.